In my search for the perfect yarn to create a soft, comfy summer chemo cap many people suggested Berroco’s Modern Cotton DK yarn. It is divine, so silky soft. It’s a light weight, #3 yarn which makes it ideal for crocheting a summer chemo cap. I ordered mine from Love Knitting. 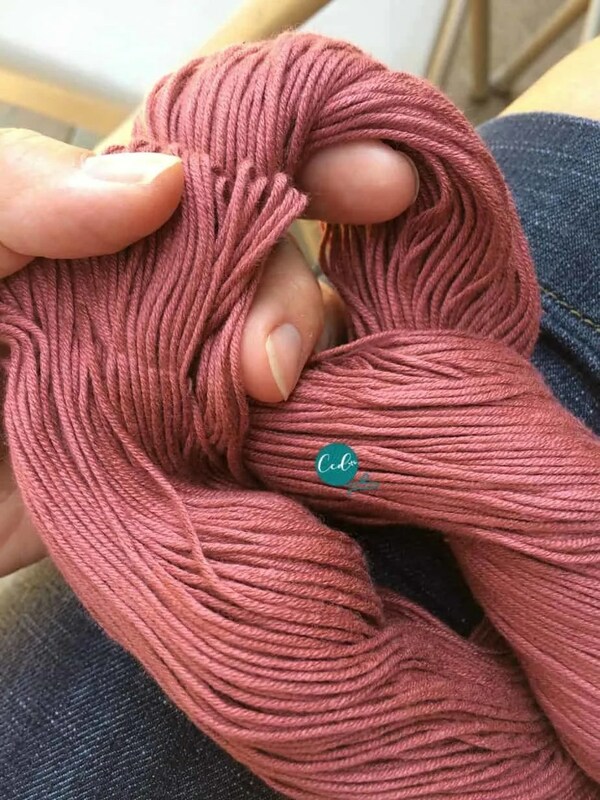 Check out the fabulous color selection of this yarn. I chose Chepstow which is the brown & Point Judith which is the mauve color. 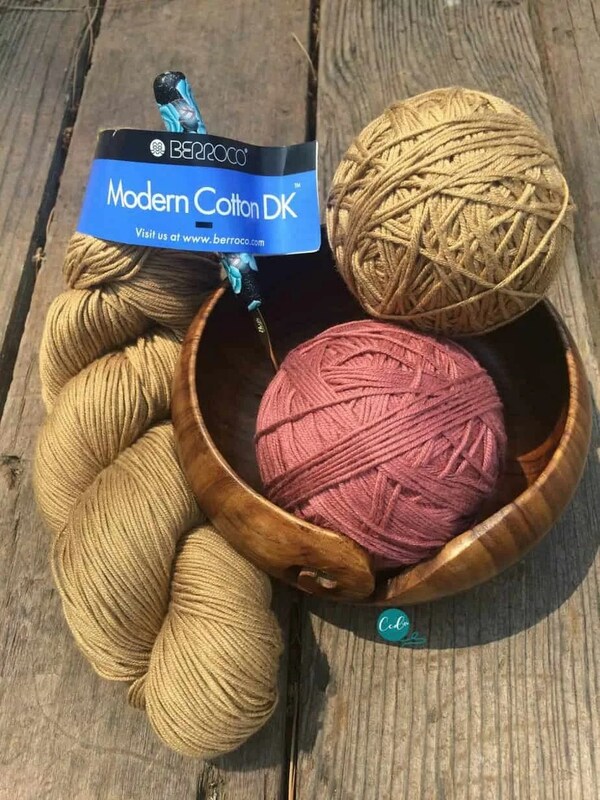 Berroco Modern Cotton DK is a blend of pima cotton and modal rayon, a great combo that won’t irritate the scalp. 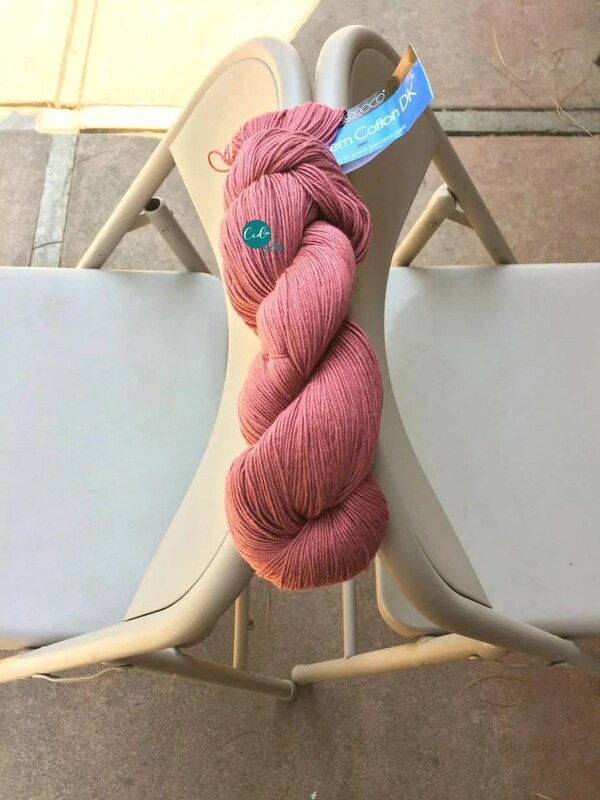 You can visit their website for more details on this gorgeous yarn. Now on to the yarn balling tutorial. I’ve worked most often with acrylic worsted weight, #4 yarn, so this yarn is just delightful to touch. It’s shipped in a hank, which is looks a bit like a twisted pretzel. To be able to crochet with it, you’ll need to roll it into a yarn ball. 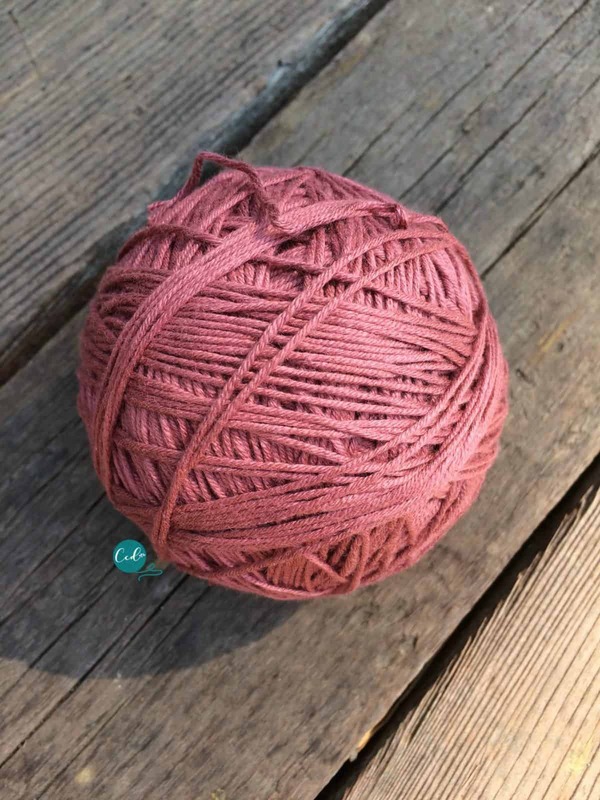 While this is fairly simple, it can be intimidating if you’ve never worked with yarn in a hank. I placed two chairs back to back. 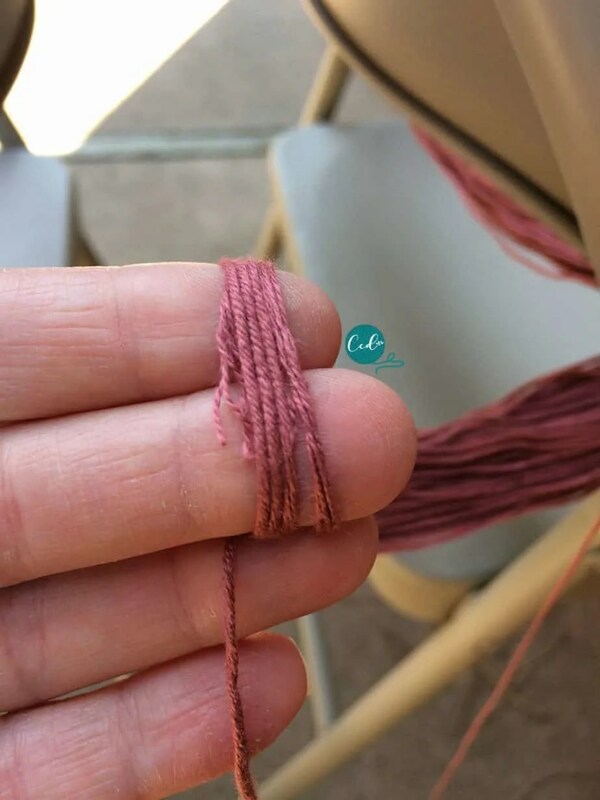 Once I removed the tag, I pulled the end of the yarn loop (between my middle finger & thumb above) out of the hole indicated by my first finger. Untwisting the yarn produced a large loop of yarn. 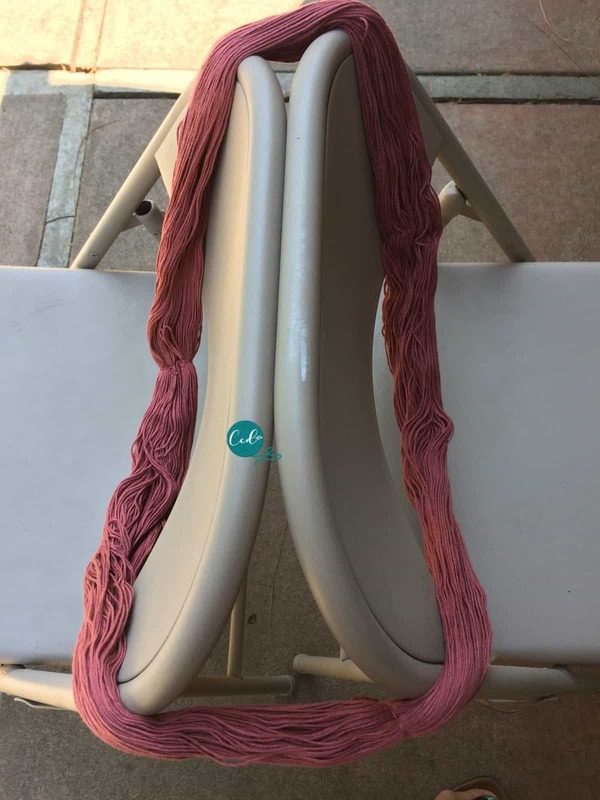 Lay it around the two chair backs, pull them apart until the yarn loop is securely held. If you have a willing pair of hands, then use those in place of the chairs! 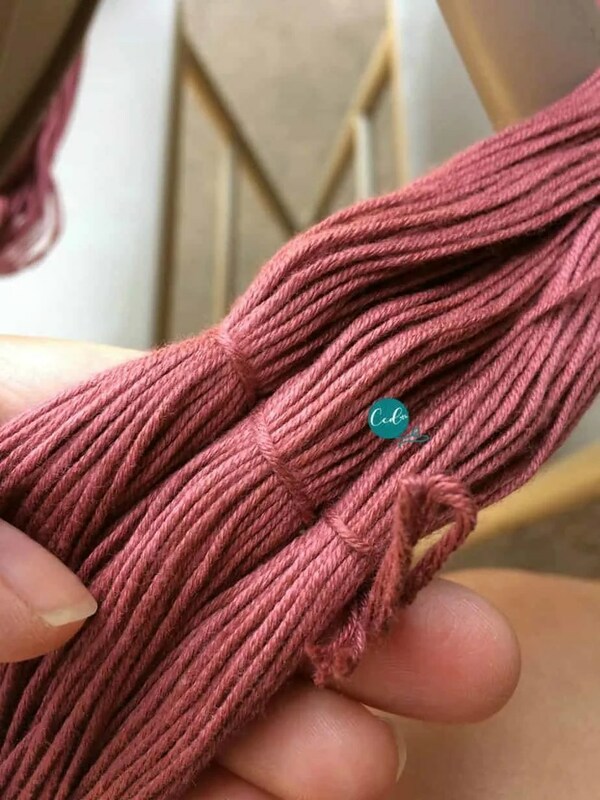 In several places around the loop of yarn there are small pieces of yarn securing it together. One of the places where the yarn is tied will be the end of the yarn, so you don’t want to just cut through these willy nilly! 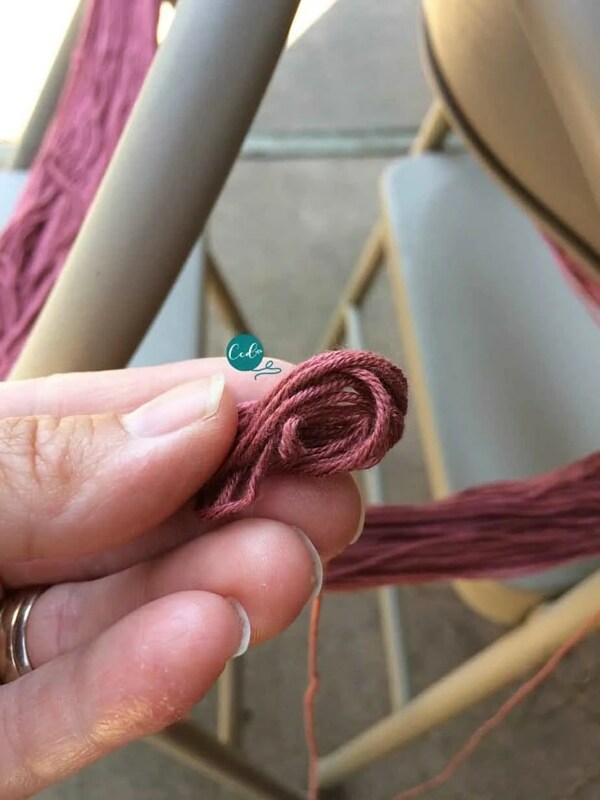 Once your yarn is untied and you’ve found the end, wrap it around two fingers a few times. 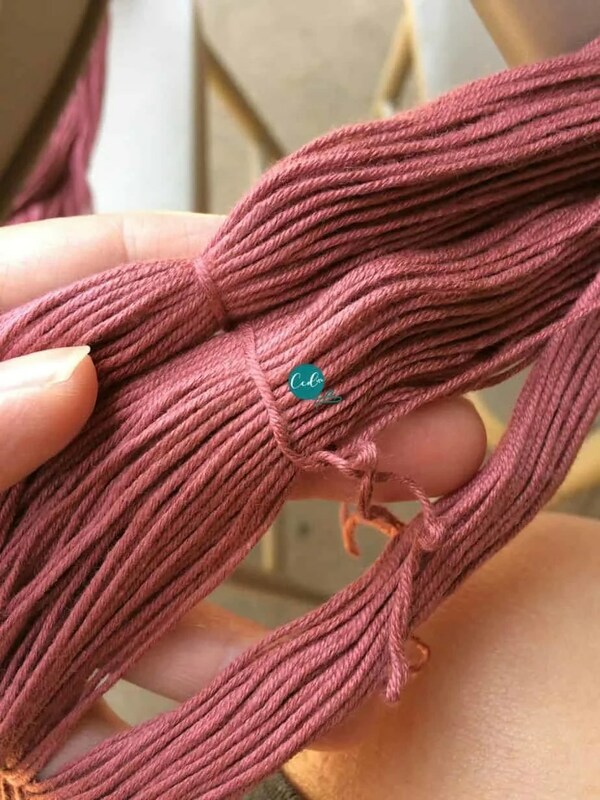 Slide it off your fingers & begin wrapping the yarn around itself. 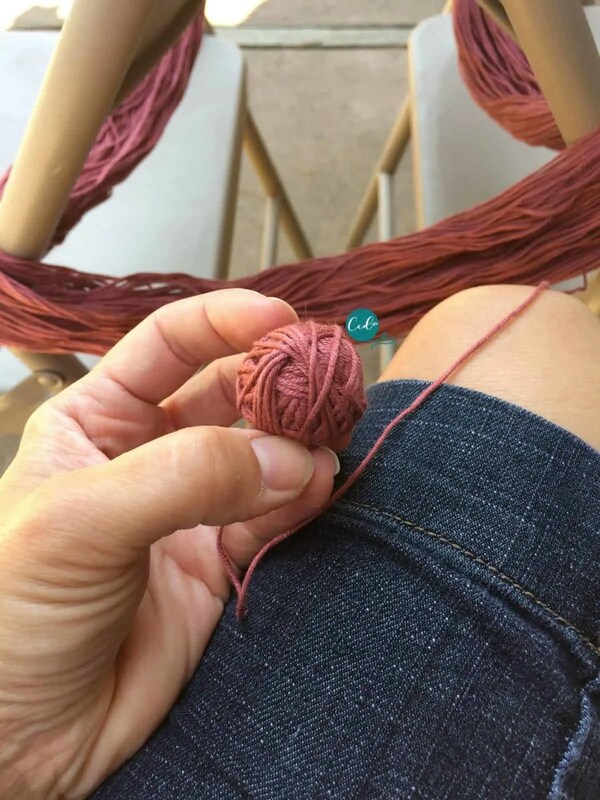 Rotate the yarn around creating a ball as you go. 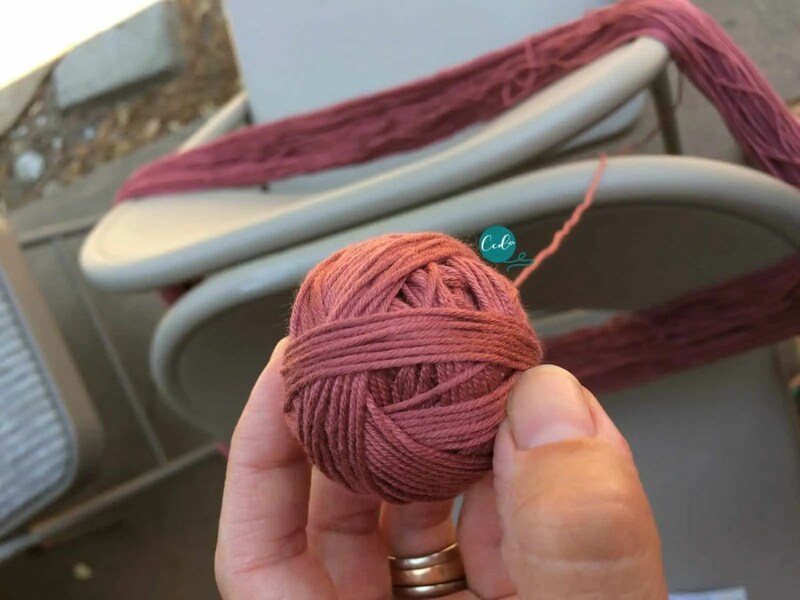 Wrap & rotate your yarn ball as it grows. 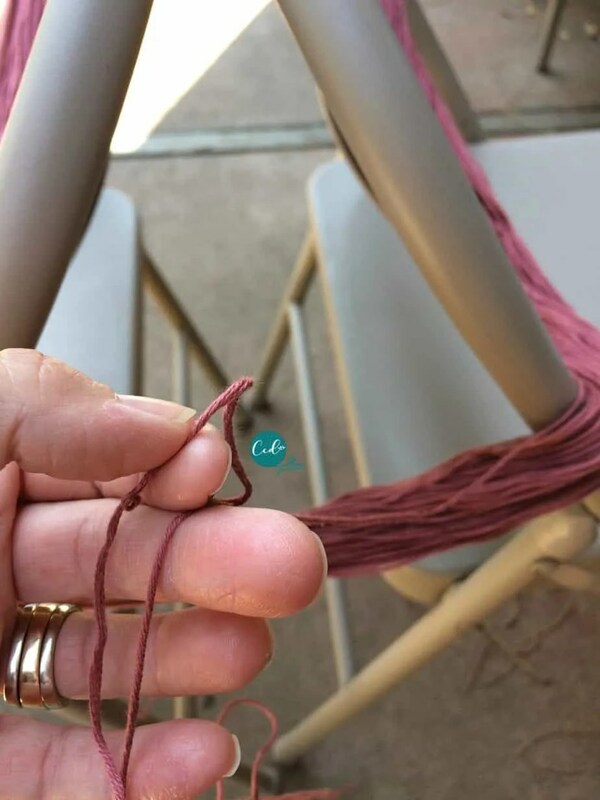 Be sure your loop of yarn stays on your chairs as you pull the yarn up. It can still get tangled if you’re not careful. Eccola, your ball is complete and you can start crocheting! Next week’s post will be a pattern for the crocheted chemo cap I created with this gorgeous yarn.